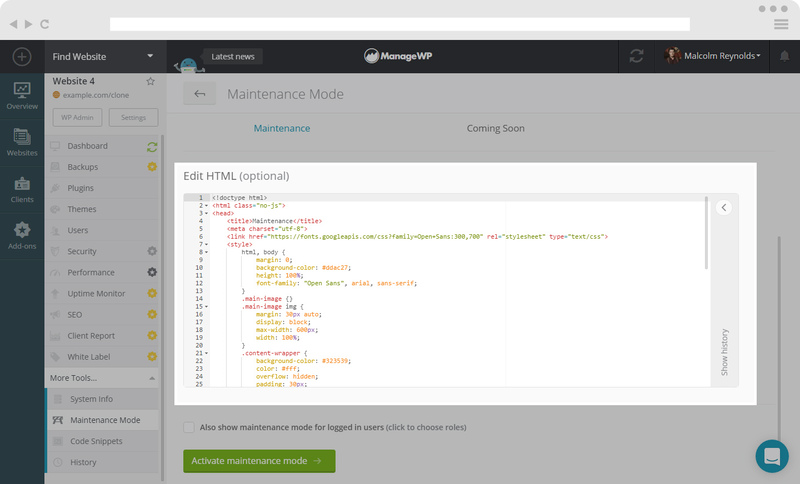 Maintenance Mode is crucial when your websites are being edited or experiencing some radical changes and you don’t want your customer to see it before the work is done. 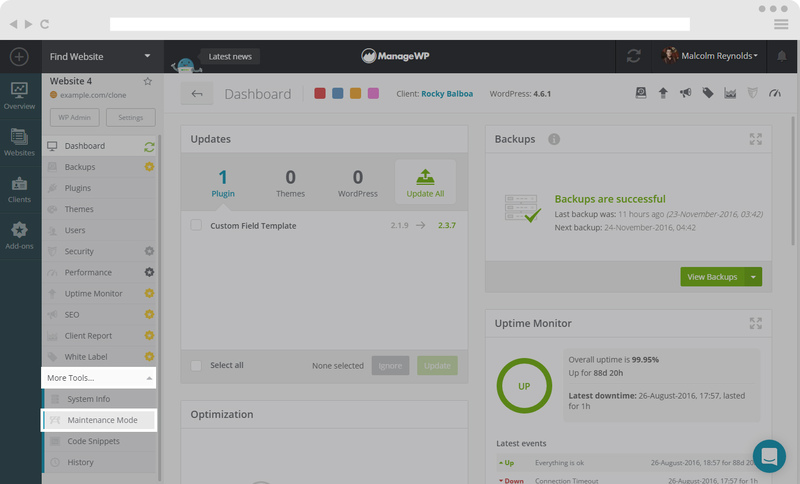 ManageWP Maintenance Mode will help you to show a nice template with the information about your site being maintained with just few clicks on your dashboard. 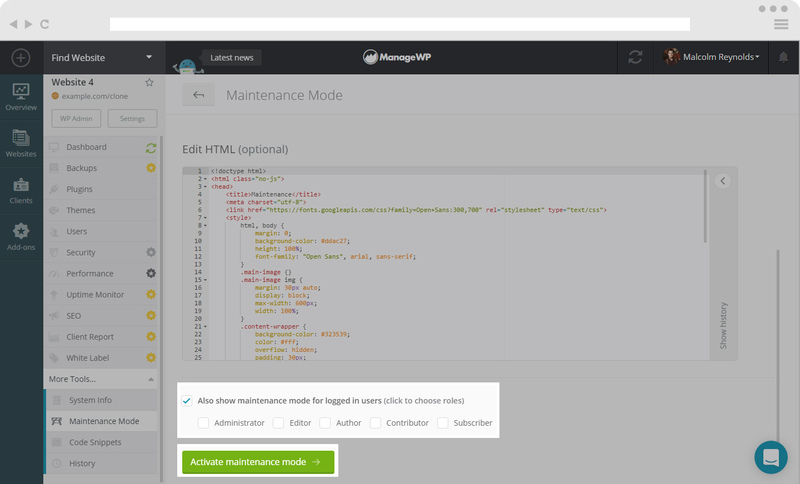 In order to find Maintenance Mode, select the site you want to turn the maintenance mode on. On the left hand side menu, you will see a list of option. At the bottom of that list is the Maintenance Mode. Click on it and you will see the above screen. 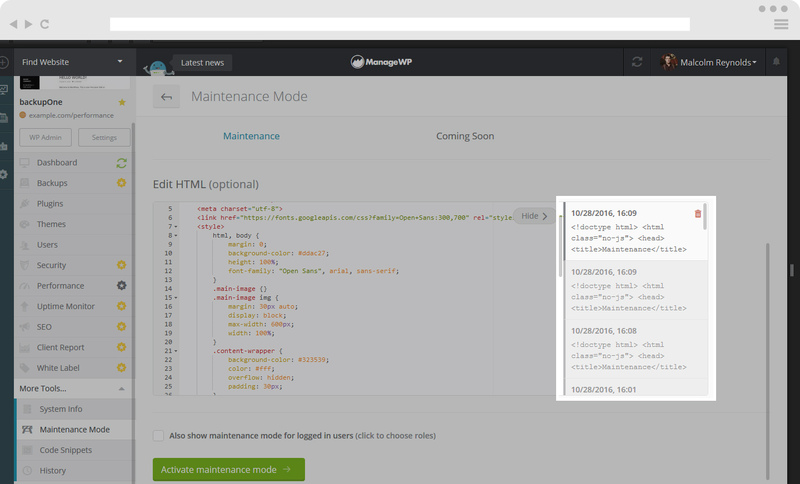 When you have found your Maintenance Mode for the website, you will see two templates ready to use on your website. 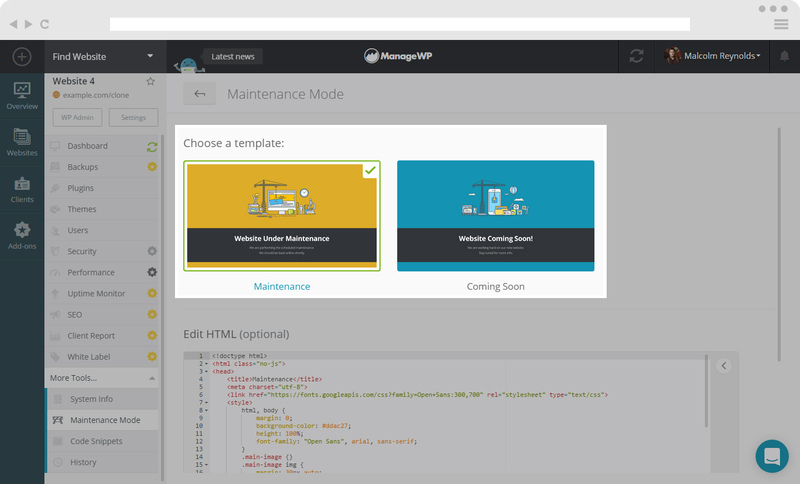 You can choose Maintenance Template if you are making some changes on your website, or Coming Soon Template if you are making a completely new website, just by clicking on one of the two templates. You are also able to edit HTML of the Templates, or write entirely new template for yourself. The templates you make will be saved in History tab on the right side of the Edit HTML window. If you want the Maintenance Mode showing to your logged in users, check the box and choose the user roles you want to see Maintenance Mode on your website, like in the picture below. When you are ready, just click on the Activate maintenance mode and your Maintenance Mode will be activated.